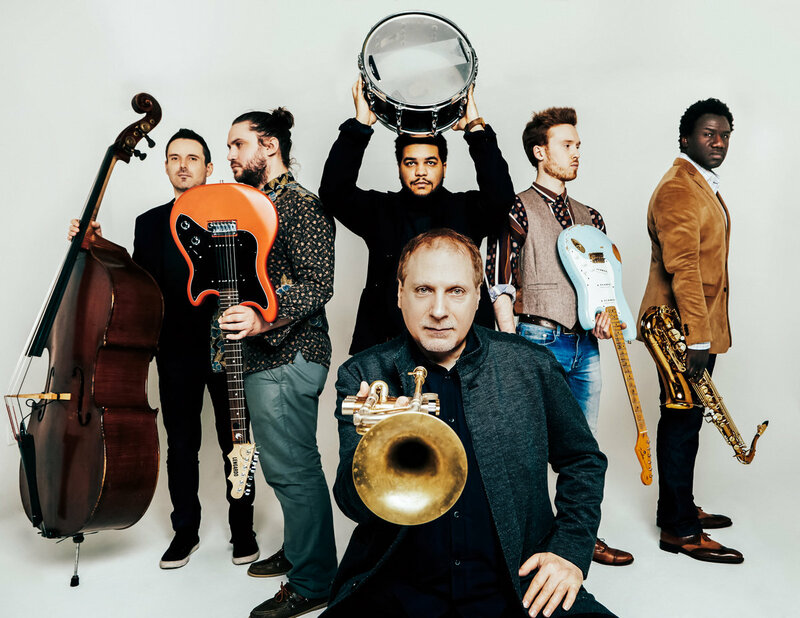 Trumpeter David Weiss leads two of the most dynamic bands playing these days and nights. As a player, he takes a bit of a back seat in The Cookers (the septet with Billy Hart, George Cables, Billy Harper, Eddie Henderson, Cecil McBee, and Donald Harrison) - Weiss is much more prominent in Point of Departure, a quintet (plus guests) that takes its name from an Andrew Hill composition (and album). This group mines music from the late 1960s and early 70s from composers like Hill, Tony Williams, Wayne Shorter, and two men closely associated with the Detroit music scene of that time, pianist Kenny Cox and trumpeter Charlie Moore. 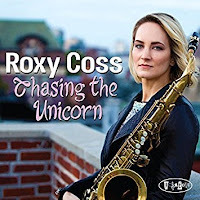 Those two musicians, who recorded as the Cox and The Contemporary Jazz Quintet, had a big effect of Weiss and he has recorded a number of their pieces with Point of Departure. "Wake Up Call" (Ropeadope) is the ensemble's fourth CD. The 9-song program is broken into three sections, "I. Prologue", "II. Unfinished Business", and "III. New Beginning". Judging by the power of the music, I believe that Weiss is telling his audience that these songs, many of them from the raucous years of the late 1960s, are indicative of the turmoil in this country at that time and how they reflect these troubled times. 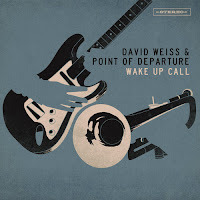 Besides Weiss on trumpet (and Fender Rhodes on 2 tracks), Point of Departure is composed of Matt Clohesy (bass), Ben Eunson (guitar), Myron Walden (tenor sax on 6 tracks), J.D. Allen (tenor sax on 3 tracks), Nir Felder (guitar on 3 tracks), Travis Reuter (guitar on 6 tracks) and, for my money, the most important element in the group, drummer Kush Abadey. 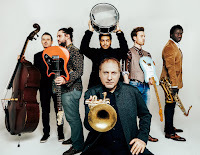 The drummer, who first came to critical notice at the age of 16 when he joined Wallace Roney's group, has worked with Terence Blanchard, Chris Potter, Tomasz Stanko and many others. The album opens with "Sanctuary", a John McLaughlin songs from the Mahavishnu Orchestra'a 1973 album "Birds Of Fire." The music starts slowly but soon Abadey plus guitarists Eunson and Reuter are creating a roiling rhythm for Walden's intense solo. "..Unfinished Business" begins with Wayne Shorter's "Two Faced", a song first recorded by the Miles Davis Quintet in 1968, appearing on 1976's "Water Babies". At 12:22, it's the longest track and takes its time to build up steam - there are strong solos from Weiss and Allen, both fairly long and both feeding off the energy of the rhythm section. Two songs from Charles Moore follow, the funky uptempo "Multidirection"(reminiscent, at times, of "Theme from Shaft") and the delightful ballad "Noh Word." On the latter track, Allen's soulful solo rolls into Felder's, a more impressionistic take over the powerful drums. The third, and longest, section, "New Beginning" opens with Joe Henderson's "Gazelle" (recorded in 1970) - the piece rides the rampaging drums (listen to Abadey under Walden's fiery tenor solo) and percussive guitar. Cox's "Sojourn" has an understated power, pushed by the rhythm section and the counterpoint of the guitars. Perhaps the most fascinating cut in the program is "Sonhos Esquecodos" from Brazilian composer Lelo Nazario (recorded in 1982 as a member of Grupo Um). Sandwiched between two pieces by Tony Williams, the song has a long rubato beginning (yet listen to the power of Abadey) with trumpet and saxophone playing the melody (actually sounds like a tune Weather Report may have produced in its early years). Once the piece settles into a groove, Reuter's hard-edged solo ratchets up the intensity. "Wake Up Call" is intense music, so much so that even the quieter moments have great power. Listen to this music for its messages, for the solos, for the amazing work of Kush Abadey and Matt Clohesy, for the smart two-guitar work, and for its power. David Weiss & Point of Departure wants you to get off your feet and let the music created here push you to action. For more information, go to davidweissmusic.com/projects/david-weiss-point-of-departure/. Tenor and soprano saxophonist Jason Rigby, from Cleveland, Ohio, is a busy musician and educator. He leads or co-leads four groups and is currently an Assistant Professor of Jazz/Commercial Saxophone at Towson University in Maryland. His third album as a leader, "One: Detroit - Cleveland Trio" (Fresh Sound New Talent), features the rhythm section of bassist Cameron Brown and drummer Gerald Cleaver, both of whom hail from the Motor City and recorded with Rigby on his 2009 FSNT album "The Sage." In fact, Brown was also on Rigby's 2006 debut for Fresh Sound, "Translucent Space." Right from the opening moments, "One" is a treat for lovers of saxophone trio music. "Dive Bar" is a duet for tenor and drums - Cleaver opens the piece with a short introduction, a thunderous setting for Rigby to enter with a melody not unlike the initial theme of Sonny Rollins's "Freedom Suite." The power of the drums and the writhing saxophone lines sink their hooks into the ears of the listener and do not let go for seven minutes. Brown leads the trio in on ""Dorian Gray" with a three-note bass line then joins Rigby to play the theme. The tension created by the rhythm section gives the tenor plenty of room to play around. Rigby is a strong player but not a "shouter" or ""screamer", there's a subtlety to his lines that give a song like "Live By The Sword" its focus yet his phrases hint at the work of Albert Ayler - listen to Brown and Cleaver as they freely navigate underneath. Both musicians stoke the fires of this music without losing control or direction. Yet, there are quieter moments with strong melodic flourishes. The Richard Rodgers - Lorenz Hart standard "You are Too Beautiful" (composed in 1931 for Al Jolson) starts off quietly with Rigby emphasizing the melody and building his solo from the theme. Pay attention to the great counterpoint of Brown and the sweet brush work of Cleaver. The saxophonist goes solo on the Gershwin's "Embraceable You", creating a mini-symphony and taking his time to reference the melody. He breaks out the soprano sax for Herbie Hancock's "Speak Like a Child", playing the melody against Brown's excellent counterpoint and Cleaver's splendid cymbal playing. Rigby's solo is mesmerizing, short phrases repeated, bouncing off the low notes of the bass, twisting around the poly-rhythms of the drums, and slowly picking up in intensity but never boiling over. "One" is a good title. Yes, this is a trio recording but the musicians approached the session of one mind; to play hard, smart, and together. One can hear plenty of "freedom", with the sax, drums, and bass seemingly going in three directions at the same time but never at cross purposes. 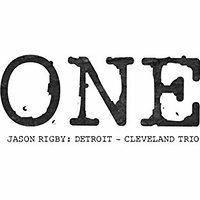 Listen to the music of Jason Rigby: The Detroit - Cleveland Trio with open ears and you will be rewarded many times over. For more information, go to www.jason-rigby.com. 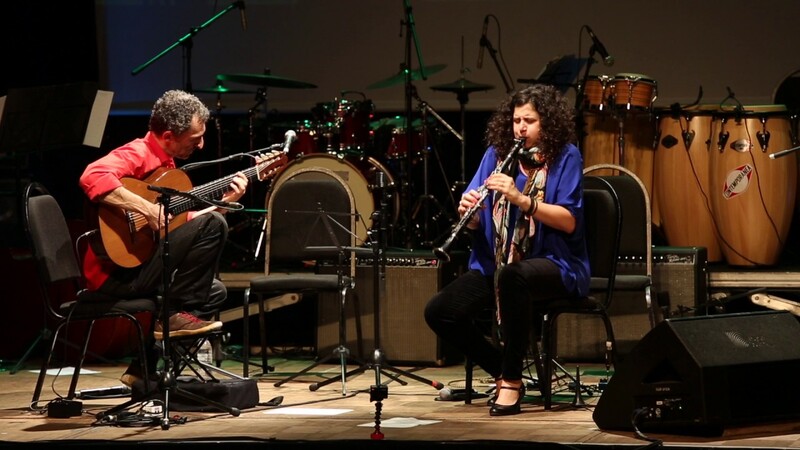 Whether you believe in a Supreme Being or not, some spiritual entity must have placed Anat Cohen on this earth to play clarinet in a joyous styles and to interpret, as well as to create, Brazilian music. 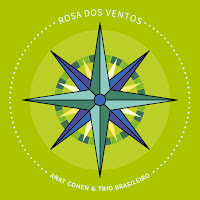 It is impossible to sit still listening to "Rosa Dos Ventos", the second Anzic Records release to feature Ms. Cohen with Trio Brasileiro. The Trio - Douglas Lora (7-string guitar), his brother Alexandre (drums, pandeiro, percussion), and Dudu Maia (mandolin, bandolim) - have been making music together since 2011, creating original music that stretches the boundaries of Choro, a Brazilian art form that mixes dance rhythms with traditional folk melodies (read more here). 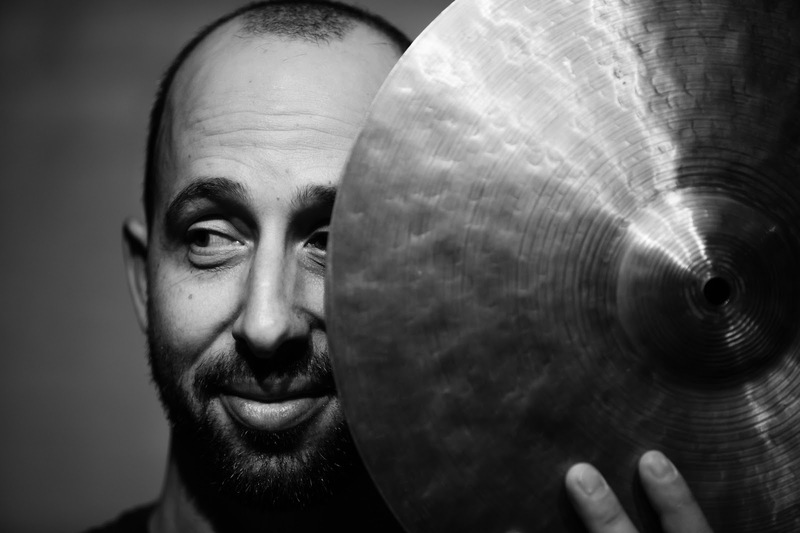 The Israeli-born Cohen first recorded and toured with Trio Brasileiro in 2013. 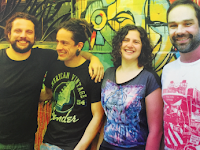 Their debut album, "Alegria da Casa", (released in 2016 on Anzic), blended choro classics with originals. This time around, the songs are all originals. There is much to enjoy in this 12-song program, from the entrancing opening cut "Baião Da Esperança" to the percussive "Das Neves" (Luiz Ungarelli adds congas on this and one other track) to the clarinet-percussion duo on the title track. Pieces such as "Flamenco" and "O Ocidente Que Se Oriente" move in fascinating directions. The former is built off the lovely melody played by the 10-string bandolim and by Alexandre Lora on the hang (hand drum); when the clarinet enters, the piece takes on a melancholy tone. The latter track takes its title from a poem by Diego Petrarca. Opening with a drone created by the tambura, the melody is played by clarinet and guitar shadowed by the hand drums (tabla drums, I believe). There is a touch of Lennon & McCartney in the melody and the feel of "Lulubia", the lovely ballad that closes the album. The Trio takes it slowly while the clarinet faces and whirls around them, the presence of a sprite in the calm and the quiet. 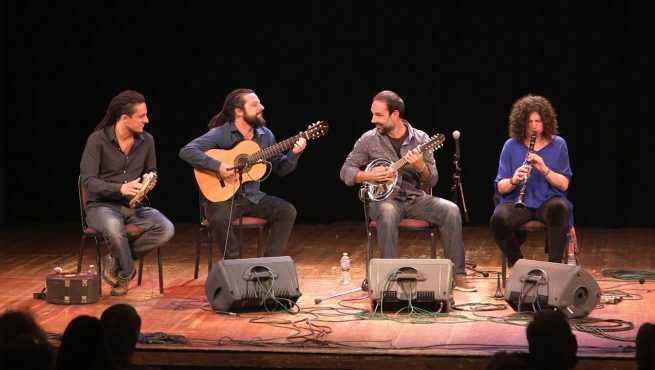 "Rosa Dos Ventos" charms and thrills listeners from start to finish with lively percussion, fully realized melodies and harmonies as well as far-ranging solos. 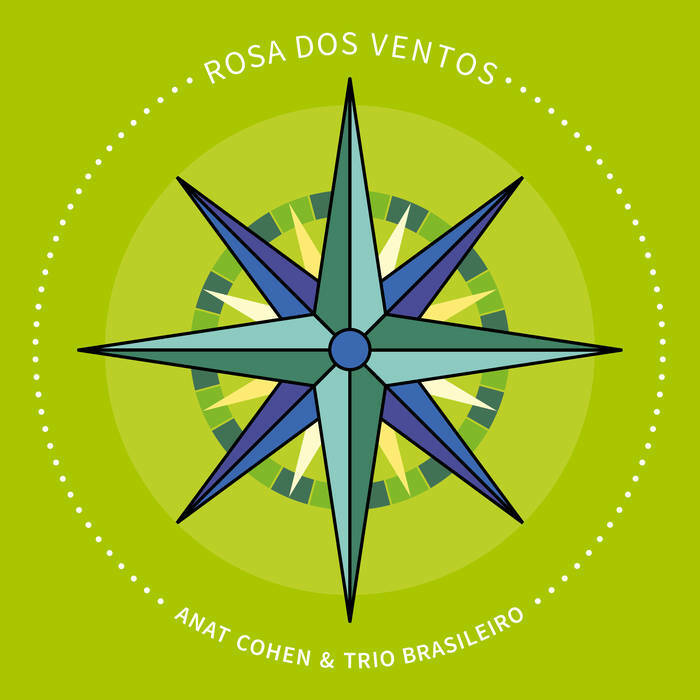 Anat Cohen & Trio Brasileiro have made a album that feels like Springtime, like the shackles and darkness of winter have been thrown off to be replaced by the gentle sun, cool breezes, and clean air. For more information, go to anzicstore.com/album/rosa-dos-ventos. The second album Ms. Cohen is releasing this month features her in duo with Brazilian 7-string guitarist Marcello Gonçalves. 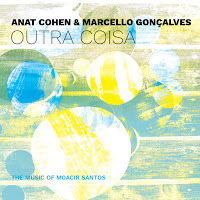 "Outra Coisa" (Anzic Records) translates to "another thing" and finds the duo exploring the music of composer and multi-instrumentalist Moacir Santos (1926-2006). 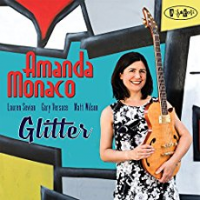 The guitarist chose the pieces from Santos's long career, rearranging the material, often recorded by larger ensembles, for the two instruments. Needless to say, the music works very well in this intimate setting for many reasons but especially because the melodies are so strong and tell stories. The 12 tracks feature six "Coisas" (things), all of have different personalities ranging from the classically inspired "..No. 1" to the somber ballad "..No 6" to the sprightly "..No 10" to the handsome ballad "..No 9." That last tune, in Santos's recording, has the feel of a Billy Strayhorn ballad. You can hear that hear as well, the lovely and crystal clear guitar backing giving Ms. Cohen the foundation to play the sweet melody and male little musical comments on it. Meanwhile, "..10" is a romp for Gonçalves and listener will love how the the clarinet just slides in the middle of the opening verse. Two other tracks are "Coisas" including the playful title track in which there are moments where it seems the musicians are circling around each other. Listen to the "heavy" chords of "Nanã (Coisa No. 5)" - this inspired track gets so quiet at times you can almost see the musicians leaning into each other to listen. There is a strong hint of Delta blues in the opening guitar statement on "Mae Iracema" (translates to "The Honey-lips"). The song opens up to another splendid dance for the duo. Pieces such as "Maracatutute" and "Amphibious" move at a delightful pace and give both musicians the opportunity to create smart solos. The album closes with two ballads, the George Gershwin-inspired "Paraiso" (the song would not feel out of place in "Porgy and Bess") which includes a lovely clarinet solo sans guitar followed by the short (1:08) and emotionally rich "Carrossel", a gentle coda to a delightful album. Delightful is an excellent word to describe "Outra Coisa." 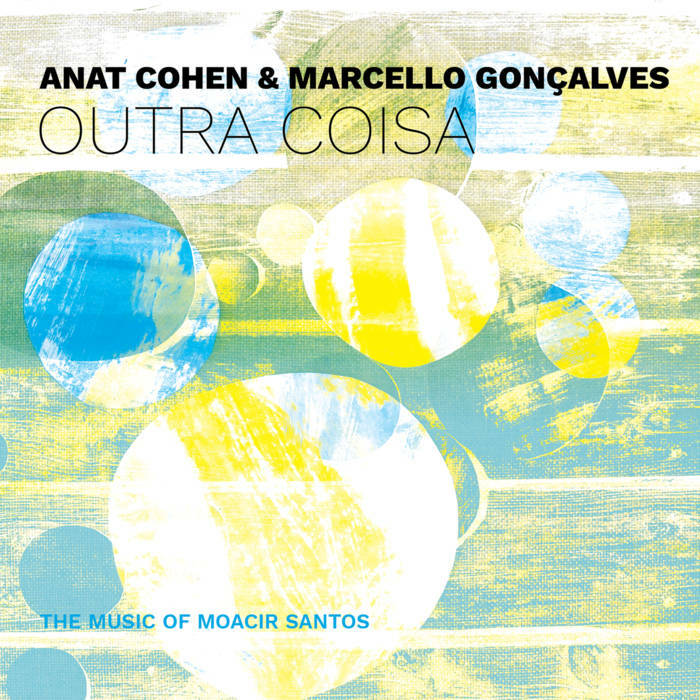 Marcello Gonçalves did a masterful job on the arrangements (if you're curious, check out his duo work with soprano saxophonist Daniela Spellmann) while Anat Cohen is at the top of her form. 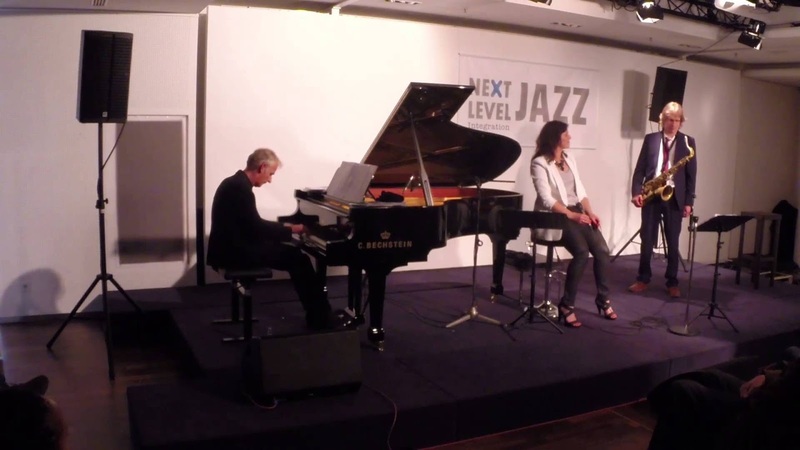 She combines the joie de vivre of Paquito D'Rivera with the warmth of Jimmy Guiffre. 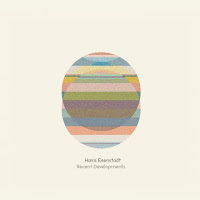 All things considered, find a quiet corner and dive into this splendid album. 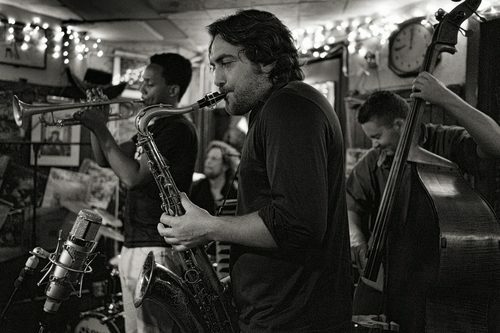 The Side Door Jazz Club in Old Lyme welcomes back saxophonist and composer Noah Preminger this coming Friday (4/14). 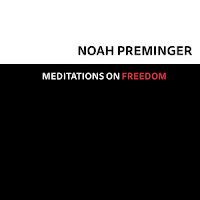 Been a busy time for the Canton, CT, native with the release of "Meditations on Freedom" in January of this year, a response and reaction to the 2016 election in the United States. Recorded with his current Quartet - Jason Palmer (trumpet), Kim Cass (bass), and Ian Froman (drums) - the music is, at turns, reflective, angry, sad, resolute, and a call to action. 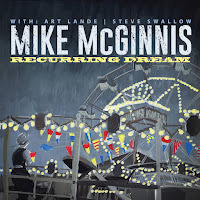 At times, the recording is reminiscent of the music Sonny Rollins created in the late 1950s, music that verges on exploding, that challenges the listener yet pulls one in on the power of the melodies and improvisations. Whether it's the solemnity of "A Change Is Gonna Come" or the deconstructed "The Way It Is" that seems to fight against the definition of the title or the gentle push and pull of "Women's March", Preminger and company are asking to rethink the way we interact with our community, the politicians in our district and in Washington, and the world. Is the joy of George Harrison's "Give Me Love" enough to get us through the day or the resolve of "We Have a Dream" going to get us out of our seats? There is power in Preminger's music and its messages. The doors open at 7:30 p.m. and the band takes the stage for the first set an hour later. 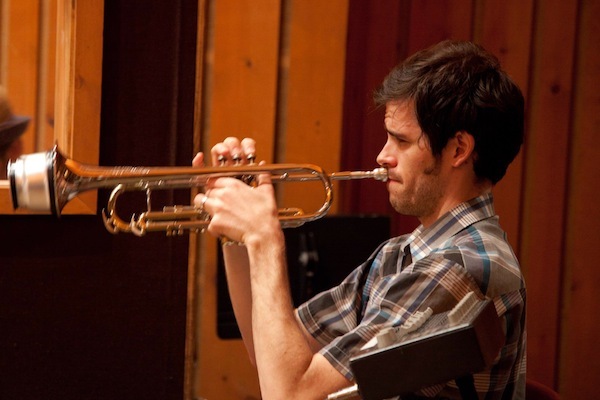 Sitting in for Jason Palmer (who is out of the country teaching) will be the impressive young trumpeter Billy Buss. For ticket information and reservations, call 860-434-2600. To learn more about the saxophonist and his music, go to www.noahpreminger.com. 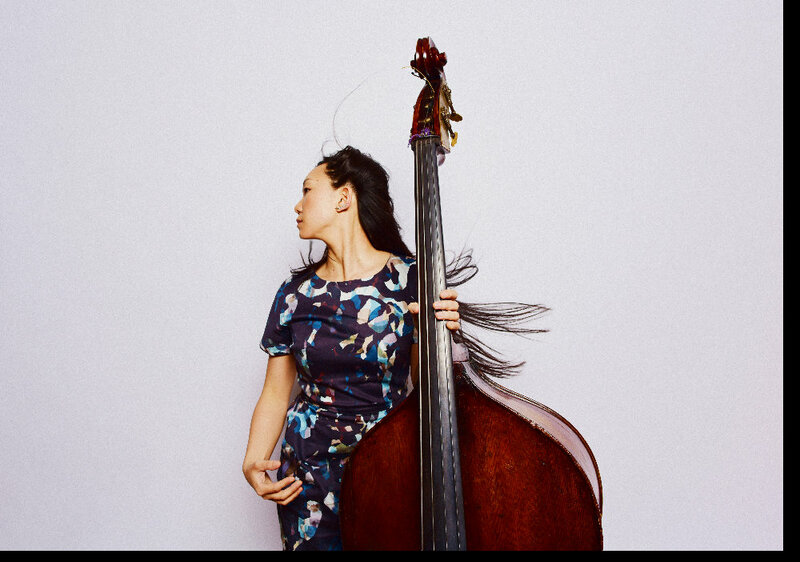 On Saturday (4/15), the Side Door presents bassist and composer Linda May Han Oh and her Group as she celebrates the release of her new album "Walk Against Wind" (see below). 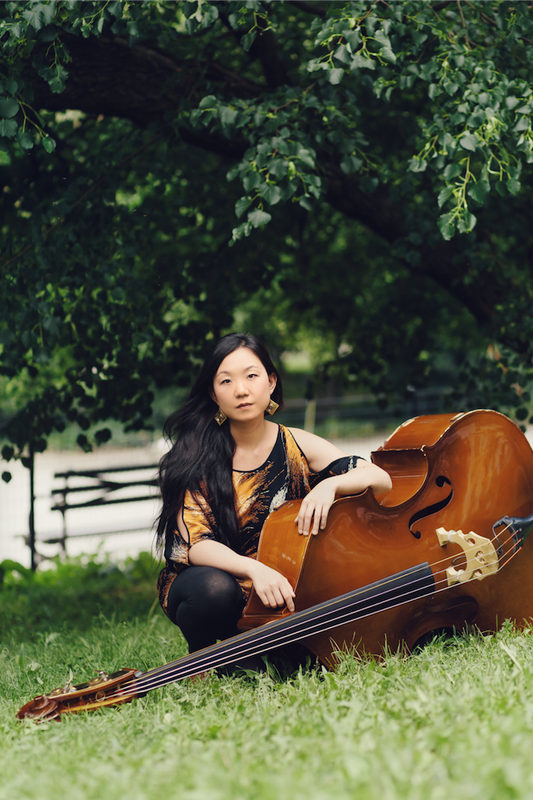 Ms. Oh, born in Malaysia and raised in Australia, came to the United States in the mid-2000s to study at the Manhattan School of Music and has gone on to play with Joe Lovano, Dave Douglas, and is currently in guitarist Pat Methany's new Quartet. Her 2009 debut album, "Entry", recorded with trumpeter Ambrose Akinmusire and Obed Calvaire, was an auspicious one displaying her compositional talents and fine bass work. 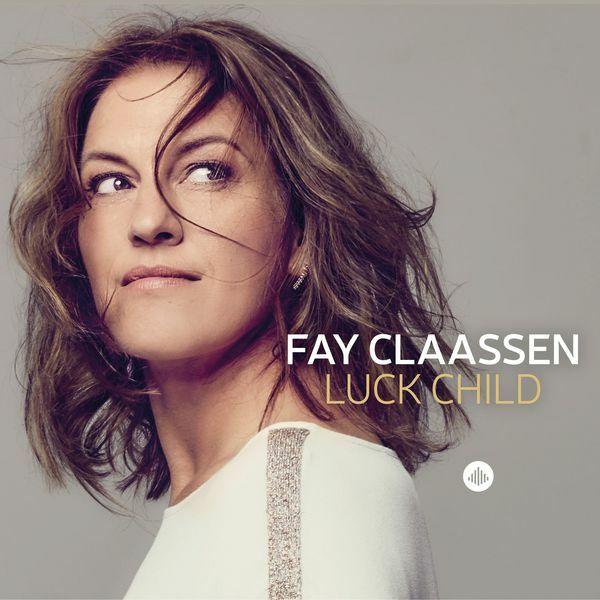 In 2013, she introduced her new Quartet with saxophonist Ben Wendel and released "Sun Pictures" (Greenleaf Music). One could hear the growth in her compositions and arrangements which is continued on the new album. 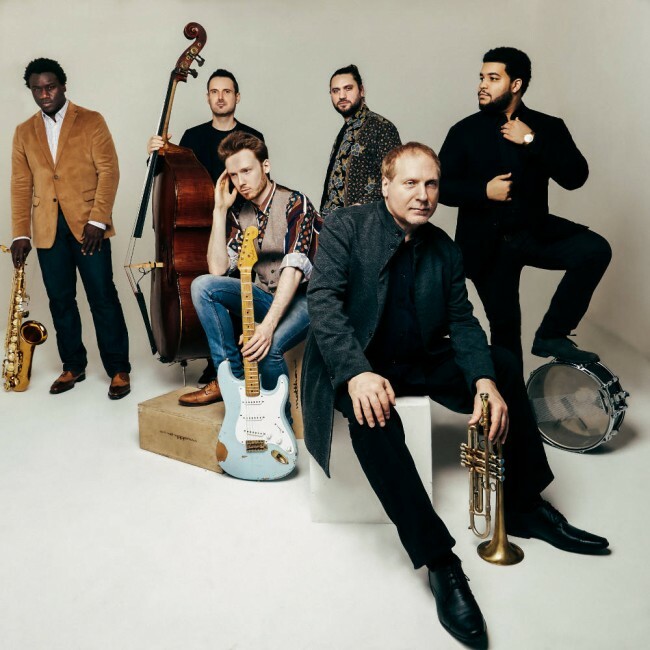 Mr.Wendel is on the recording and will be on The Side Door bandstand as will drummer Rudy Royston, guitarist Gilad Hekselman, and pianist Fabian Almazan. One should expect to hear music that defies expectations and ignores genres while valuing melody and interactions. 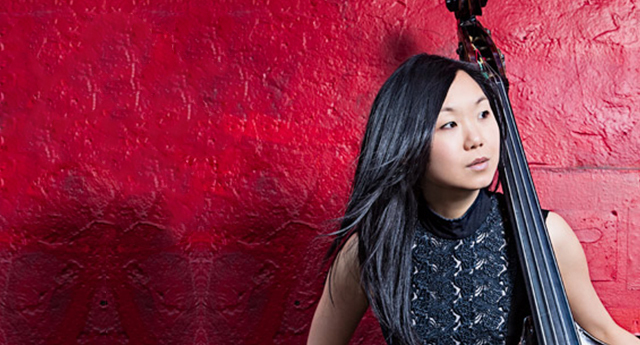 The Linda May Han Oh Group commences playing at 8:30 p.m. To find out more, go to thesidedoorjazz.com. Inspired by the art of Marcel Marceau (and his brilliant piece "Walking Against The Wind"), Linda May Han Oh has titled her fourth album as a leader "Walk Against Wind." It's her first recording for Fabian Almazan's Biophilia Records and features Ben Wendel (tenor saxophone), Matthew Stevens (guitar), and Justin Brown (drums) with label head Almazan on piano and keyboards (three tracks) and Minji Park (percussion on "Mantis"). The album starts with "Lucid Lullaby", the bassist leading the melody in as Brown skitters and scrambles underneath. After sharing the theme with the tenor sax, Ms. Oh takes the first solo and the piece unfolds slowly, stopping and starting as the bass gives way to the guitar solo. Yet, listen to the rhythm section as they dance below Stevens's fluid lines. The emotions and moods shift throughout the album. There's the joyous interactions on "Speech Impediment" replete with wordless vocals from the leader and Brown's powerful drumming. That song also features a fine slow blues section near the end. The rapid-pace melody of "Firedancer" is played by the bass and piano before the band takes off on an exciting journey. The entrancing ballad "Deepsea Dancers"(dedicated to Izumi Uchida, the bassist's manager who passed several years ago) is a lovely ballad and one can hear the influence of Malaysian and Japanese traditional music in the melody and supporting lines). 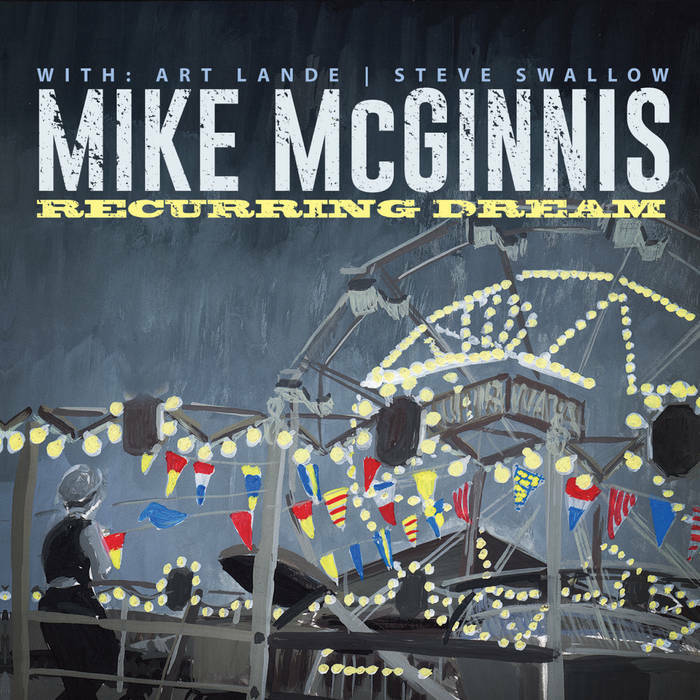 There is beauty as well on "Midnight Reasons", a somber lead by the Stevens's guitar with counterpoint from Ms Oh over long notes held by the tenor sax. Wendel then steps out, adding a third melodic voice to the front line. There is give-and-take here normally reserved for uptempo pieces. The high-energy of "Midnight" follows powered by a strong bass line and Brown's explosive drums. Listen to the melody, how intelligently it plays with and against the rhythm section, the changes in tempo and how Almazan's distorted Fender Rhodes suggests the sounds of Keith Jarrett and Chick Corea when they worked with Miles Davis in 1970 and 71. 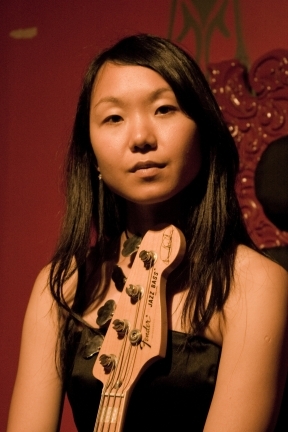 The album comes to a close on the M-Base influenced funky bop of "Western", whose thematic material grows from the percussive work of Brown and Ms. Oh's thick and active electric bass lines (it's one of several tracks that feature her electric work; check out the rapid-fire excitement of "Perpluzzle" below). The interaction of bass and drums gives the piece its propulsion and you should enjoy how all four members of the band take turns interpreting the melody. 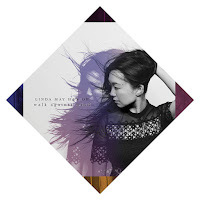 Linda May Han Oh has made quite an impression since coming to the United States. 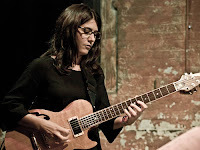 The first thing many people noticed was her impressive bass playing but the quality and breadth of her compositions has emerged to equal that of her instrumental work. 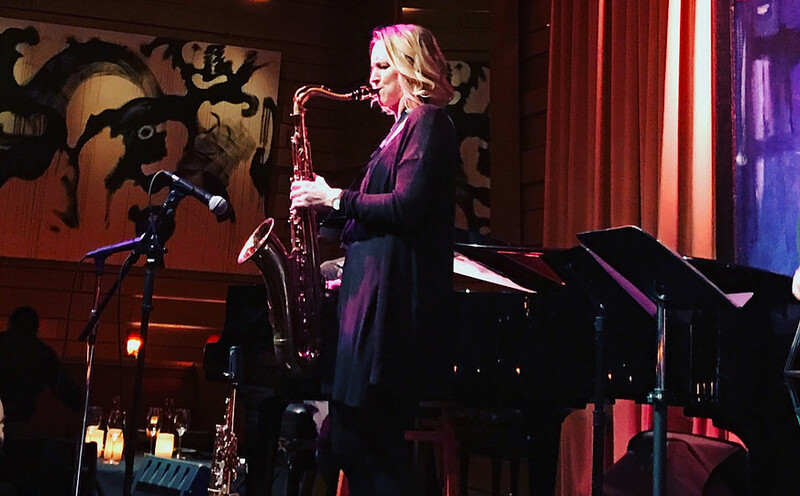 She certainly knows how to anchor a rhythm section but the melodic work she does as both a composer and performer is well worth paying attention to. "Walk Against Water" is a special recording, one that demands and deserves many close listens. For more information, go to lindamayhanoh.com. The album package, like all the new releases on Biophilia this year, is a fanciful origami-like construction that is fun to play with, somewhat tough to read, and heck to fold back up. But, then again, I'm a klutz when it comes to puzzle-like packages. On Friday night April 7, young Mr. Cohen brings his Trio to The Side Door Jazz Club in Old Lyme. Joining him for the two-set program will be bassist Yasushi Nakamura and drummer Joe Saylor. You'll hear that his music features both standards and originals plus he's one of the finer pianists playing today. Not just technically but with a deep emotional well that gives new life to the older material he chooses to play. 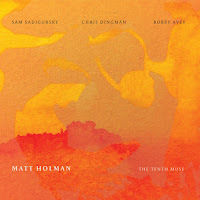 The Emmet Cohen Trio hits the stage at 8:30 p.m. For more information, go to thesidedoorjazz.com or call 860-434-2600. To learn more about the pianist, go to emmetcohen.com. 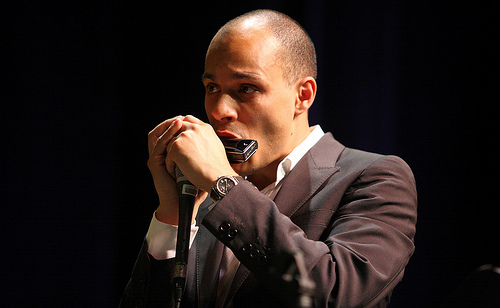 On Saturday night, The Side Door welcomes the fine young harmonica player Grégoire Maret and his Quartet. 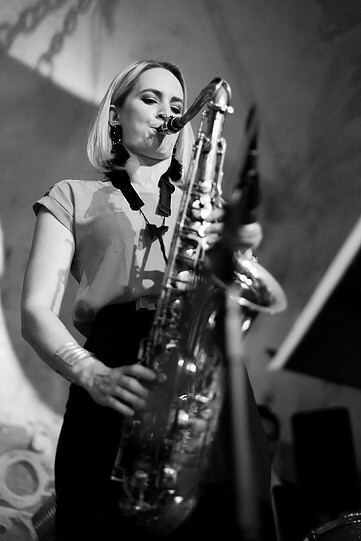 A native of Geneva, Switzerland, Maret has worked with many artists, from Pat Metheny to Bebel Gilberto to Marcus Miller to David Sanborn to the late vocalist Jimmy Scott. He's issued two CDs as a leader, the latest being "Wanted", issued by Sunnyside Records in April of 2016. Joining him in Old Lyme will be Romain Collin (piano, keyboards), Antoine Katz (bass), and John Davis (drums). Expect a mix of standards, originals, and the occasional "pop" tune. For reservations, call 860-434-2600. To find out more about the versatile musician, go to www.gregoiremaret.com. Emmet Cohen's latest release is the first in a series he's dubbed the "Masters Legacy Series" (which he explains in the video posted below.) "Volume 1" (Cellar Live Records) finds the pianist in the company of bassist Nakamura and special guest, drummer Jimmy Cobb. Although the drummer is 6 decades older than Cohen, they certainly speak the same musical language. 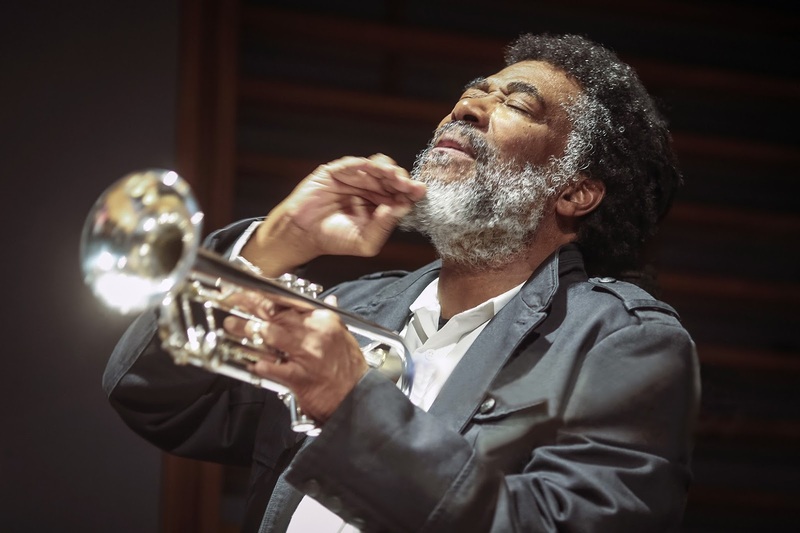 Mr. Cobb, while not as prolific a session player as bassist Ron Carter, has played with scads of musicians and groups, from Miles Davis to Dizzy Gillespie to Dinah Washington, Billie Holiday, Sarah Vaughan, Nancy Wilson, George Coleman, and Dave Holland. The drummer has led his own bands and recorded, at least, six albums under his own name. For this album, the band (augmented by alto saxophonist Godwin Lewis on two of the 11 tracks) recorded front of an invited audience in the DiMenna Center for Classical Music in New York City. The Trio romps through the opening three tracks starting with a fun take of Ferde Grofe's "On The Trail" then sliding right into "Tin Tin Deo" and "Two Bass Hit" before a gentle and generous reading of "When I Fall In Love." Saxophonist Louis makes his first appearance on Cohen's uptempo "Folk Song", his warm tone blending sweetly with the Trio. The leader's rolling two-handed solo is a highlight as are the single-note runs he adds throughout. Louis also appears on the bluesy "Hard Times", a track that Mr. Cobb first recorded with David "Fathead" Newman - one cannot miss the gospel feel that both Louis and Cohen add to the swinging feel of the rhythm section. 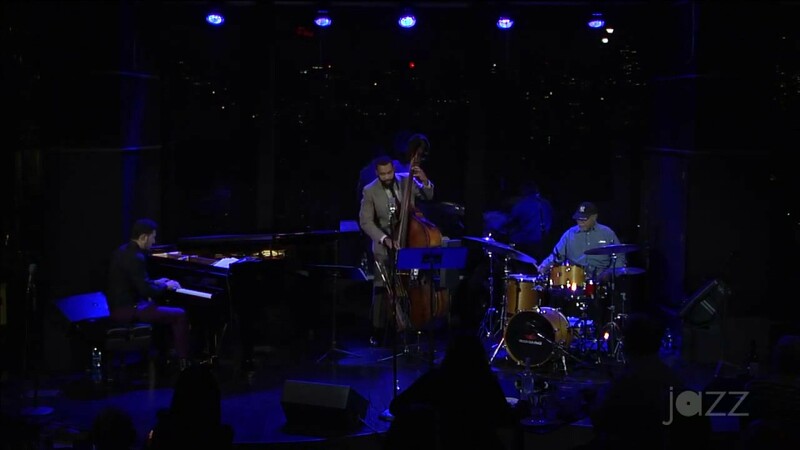 The program closes with Cohen's "Concerto for Cobb", a high-energy swing piece on which the drummer not only lays down a strong tempo but also adds smart fills and creates a powerful solo. His energy does not ebb at any time during the concert or on the recording. Bassist Nakamura does his usual excellent job of keeping the music moving forward, laying down a melodic or percussive foundation on every track. Cohen's solo are, more often than not, joyful, playful, and pleasing. He's played standards throughout his career and understands that songs familiar to a jazz audience need an imaginative touch yet he also makes the music accessible to those unfamiliar with the "canon." 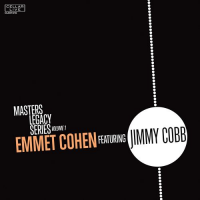 Emmet Cohen is onto something really good with his "Masters Legacy Series" and his choice of Jimmy Cobb as his initial collaborator is quite inspired. You will be inspired as well by this delightful album. Let's see and hear where this goes from here. For more information, visit Emmet Cohen's website (listed above) or go to www.cellarlive.com. 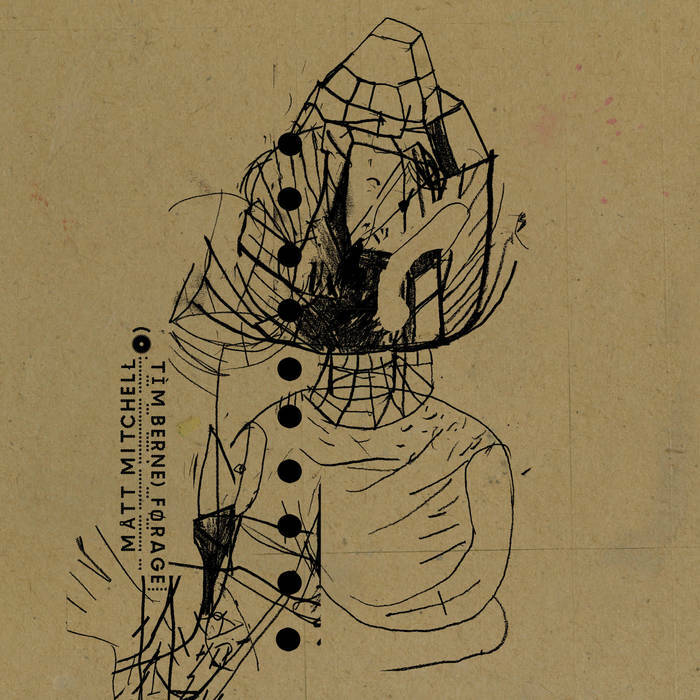 Over the past decade, pianist Matt Mitchell has made quite an impact on contemporary music. 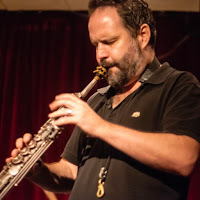 Not only does he lead his own groups but he is also a member of the Dave Douglas Quintet, Rudresh Mahanthappa's Bird Calls, Jonathan Finlayson's Sicilian Defense, Anna Webber's Simple Trio, and Tim Berne's Snakeoil (and there are many more). 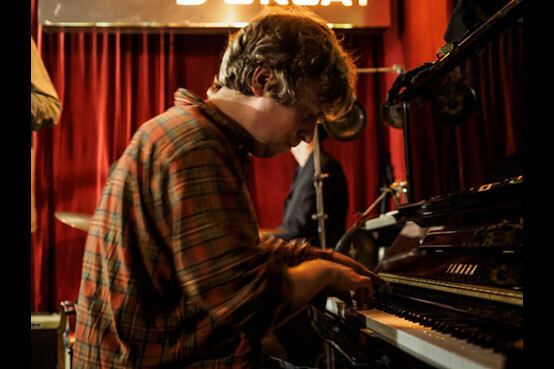 For his new recording, "FØRAGE" (Screwgun Records), Mitchell turns to the music of Tim Berne and rearranges, reimagines, and a reworks a number of Berne works for solo piano. 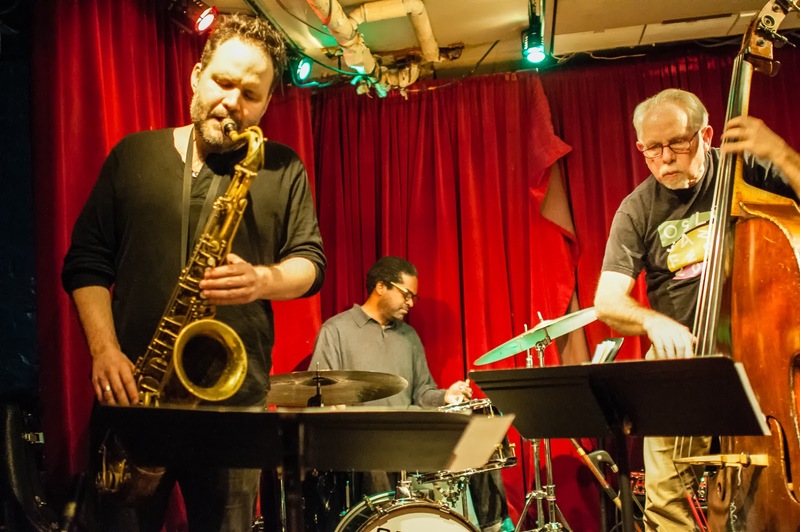 I have listened to Tim Berne for over three decades, since he came east and began to work with saxophonist and composer Julius Hemphill. His recording career began with quartet of self-released albums before going on to record for JMT, Soul Note, Winter & Winter, Columbia, Thirsty Ear, and others plus starting Screwgun Records in 1996. If you've listened to Berne's music, you know its a mashup of numerous styles and approaches, with long episodic compositions, raucous sounds, frenetic beats, and experiments with textures and sounds. While Snakeoil has issued three albums on ECM (and one on Screwgun), he has not tempered his approach. 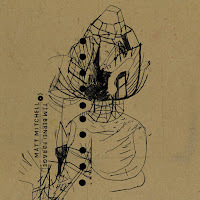 On their own in a solo setting, Berne's music and Mitchell's interpretations take myriad forms. There are moments, such as throughout"ŒRBS", when one can hear the influence of Keith Jarrett's more "open" improvisations. The heavy chords that lead into "TRÃÇĘŚ" give way to high-energy exploration of melody and improvisation. There's even a touch of "boogie-woogie" for just a few seconds in Mitchell's active left hand that catches the ear. The ballad feel at the onset of "RÄÅY" goes away but the piece picks up and loses speed over the course of seven minutes. "CLØÙDĒ" also begins as a ballad and stays for the first third of the 13-minute piece. The pianist starts pushing the tempo, there's a hypnotic flow in the rhythmic pace, and, soon, the piano begins to thunder, shards of melody flying off the right hand. But the bombast simmers down as the music slows and returns to the calm of the opening minutes. You need to play "FØRAGE" all the way through to understand the story Matt Mitchell is telling. The music of Tim Berne is often thorny yet a different kind of beauty also inhabits the music. Don't waste time attempting to categorize this music; to these ears and mind, the various shapes and melodies are in a class of their own. But, do listen. If you like a challenge and are willing to follow the lead of the composer and pianist, this is an amazing journey. For more information, go to www.mattmitchell.us. The Firehouse 12 Spring 2017 Concert Series is in full swing (no pun intended) but this coming weekend may be the most impressive in the New Haven venue's 12-year history. The first official performance was a concert on April 3 2005 titled "Solo Duo"; the show featured pianist Lisa Moore and violinist Tim Fain playing music by Bach, Rzewski, Bresnick, Puts, and Janáček. 10 days later, guitarist Greg Davis & Kranky played the venue followed in May by the duo of Matthew Shipp & William Parker. That fall, weekly concerts started in earnest with shows usually Thursday, Friday, Saturday, or Sunday. Friday became the "regular" performance night in 2006 and the performance space/recording studio has presented two 13-week series since then (with the occasional Thursday and Saturday concert). This coming weekend (7th-9th) is, arguably, the most exciting weekend of music and seminars the venue has ever presented. Friday night, the trio of Anna Webber (saxophone, flute), Matt Mitchell (piano, keyboards), and John Hollenbeck (drums) will perform. 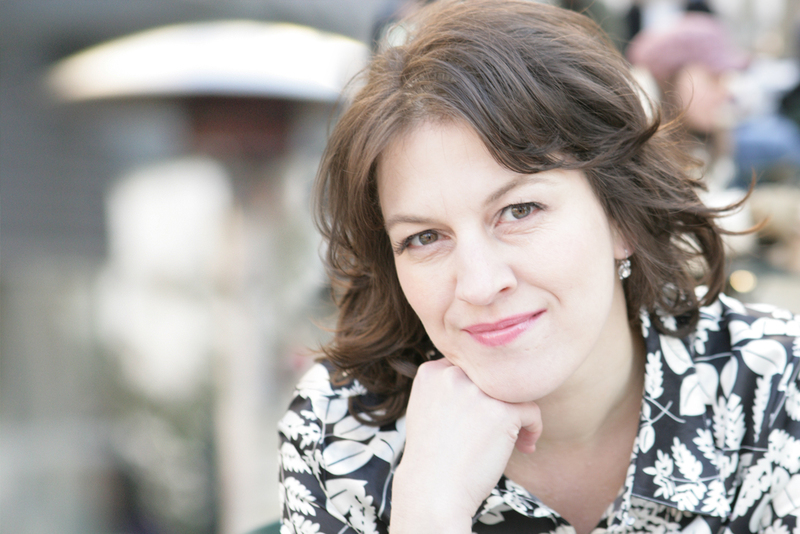 Ms. Webber composes all the music for the ensemble known as Simple Trio and it's an exciting concoction of imaginative pieces that blend "free" elements with composed themes and sparkling improvisations. Skirl Records has issued the Trio's two albums, the latest "Binary" in Fall of 2016 (my review here). The Trio plays two sets - the first at 8:30, the second at 10 p.m. - and tickets are available by going to firehouse12.com or calling 203-785-0468. 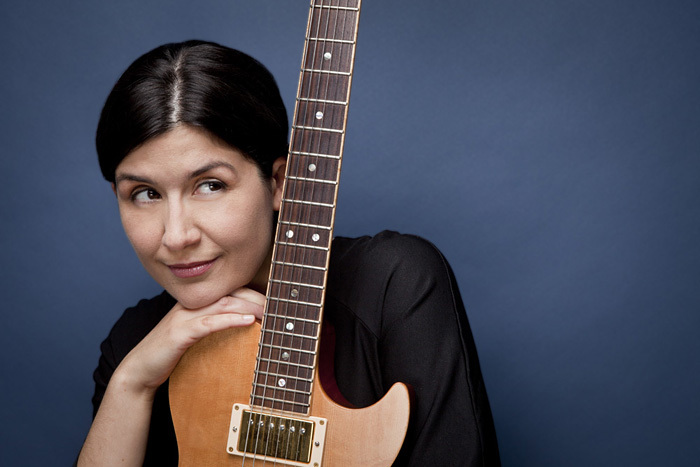 To find out more about Ms. Webber's musical adventures, go to www.annakristinwebber.com. 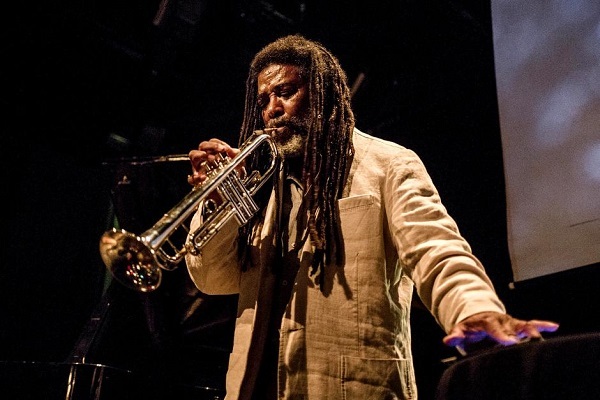 On Saturday and Sunday, Firehouse 12 presents the CREATE Festival, four sessions of seminars and music curated by and featuring trumpeter, conceptualist, and composer Wadada Leo Smith. 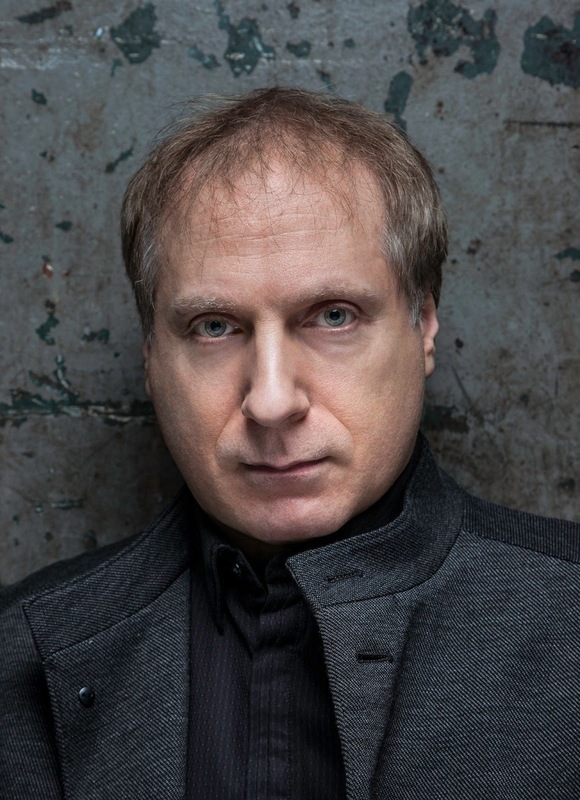 The daytime sessions commence at 1 p.m. and features the composer talking on day one about the music to be performed at the Festival and how he creates his unique compositions. 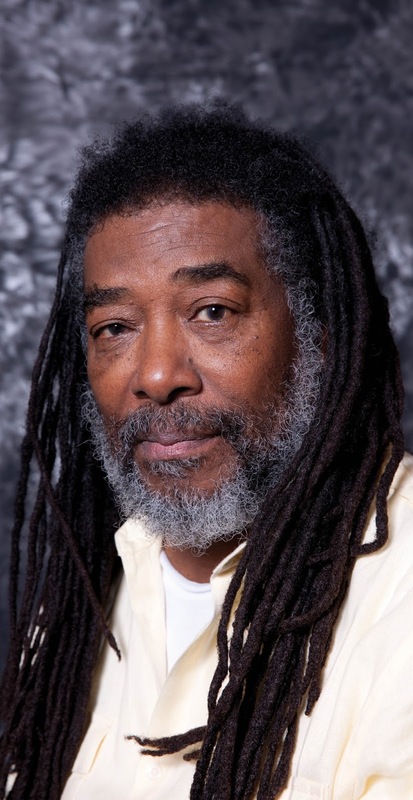 His musical language, called "Ankhrasmation", is described by the composer as "an approach to conveying ideas to another musician that leaves a great deal of room for personal interpretation." Day 2, he will give a fuller description of his "systems", how these ideas have evolved over the past five decades, and much more. Both sessions include video images created by Jesse Gilbert who has worked with the composer since the "10 Freedom Summers" project. The price of admission also includes premium coffee brewed by Mr. Smith and Creole Gumbo prepared by Gianna Chachere, a film producer and director currently serving on the Board of Directors of the New Orleans Human Rights Festival and The New Quorum Artist Residency. Both these events take place in the apartment above Firehouse 12, the entrance at 47 Crown Street. The two evening sessions begin at 7 p.m. and are both chock-full of music. 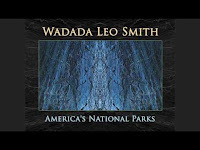 The Saturday session opens with the Lamar Smith Experiment, a three-guitar ensemble led by Wadada Leo Smith's grandson and featuring William Brennan and Bentley Lewis. They will be followed by the reunion of New Dalta Ahkri, the trumpeter's trio featuring vibraphonist Bobby Naughton and reed master Dwight Andrews. Mr. Smith created this group in the mid-1970s while living in New Haven and it featured many different musicians but especially Messrs. Naughton and Andrews. Another trio follows - Mbira is composed of Mr. Smith, Min Xiao Fen (pipa and voice) and Pheeroan akLaff (drums and percussion). The first half of the concert closes with excerpts from the "Rosa Parks Oratorio" performed by Mbira plus the RedKoral Quartet (Shalini Vijayan (violin), Mona Tian (violin), Lorenz Gamma (viola), and Ashley Walters (cello). Jesse Gilbert will supply the video images. The second half of Saturday's concert includes "String Quartet No. 9 ( Ma Rainey; Marian Anderson; Rosa Parks; Angela Davis)" and "String Quartet No. 10 (Ellingtonia / Reminiscing in Tempo (Movement No. 1)". 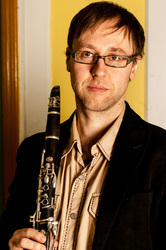 Both works feature the RedKoral Quartet with pianist Anthony Davis joining them for "..No 10." Following that will be "New Orleans: The National Cultural Park USA 1718" and "Yellowstone: The First National Park and the Spirit of America - The Mountains, Super-Volcano Caldera and Its Ecosystem", both from 2016's "America's National Parks." This expansive music will be performed by Mr. Smith's Golden Quintet that features Ms. Walters, drummer akLaff, pianist Davis, and bassist John Lindberg plus video images from Mr. Gilbert. 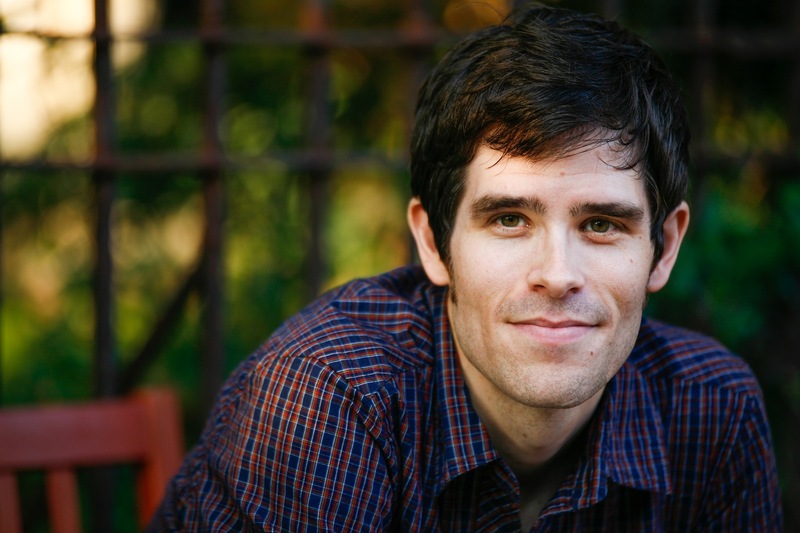 Sunday evening at 7, Mr. Smith opens the proceedings with a solo performance of "A Thelonious Reflection" which includes "Crepuscule with Nellie", "Monk and his Five Point Ring at The Five Spot" (an original work), "Ruby, My Dear" and "Round About Midnight." Following that, the trumpeter is part of The Crystal Sextet - Stephanie Griffin (viola), Gwen Lester (viola), Tanya Kalmanovitch (viola), Jason Kao Hwang (viola), and Hardedge (electronics) - they will perform "Pacifica, Viola Quartet No 12". After intermission, the Golden Quintet and Jesse Gilbert return to perform more music from "America's National Parks." Read this program over and look at how much music will be performed. 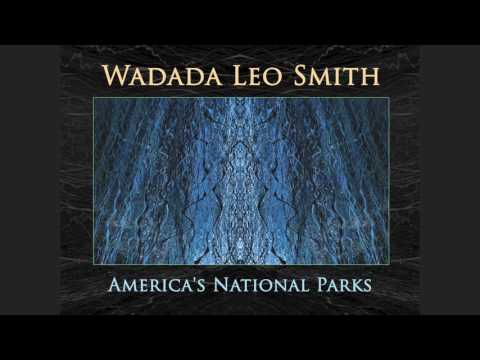 It helps one realize how important Wadada Leo Smith is to contemporary American music. Not just jazz or classical but many tributaries of American music. This is a good selection from a very impressive oeuvre that continues to grow. What a treat! For ticket information and discount packages, go to firehouse12.com.